A little over one hundred years after his birth, and not quite twenty-five years since his death, interest in the French political philosopher and sociologist Raymond Aron (1905-1983) continues to grow. Aron is now widely recognized as one of the most significant intellectual figures of the postwar period, whose wide-ranging reflections played a key part in preserving liberal democracy in Europe and abroad. His sober analyses of modern society, his trenchant critique of ideological politics and every form of totalitarianism, and his philosophical reflections on politics and history have given powerful support to democratic liberalism throughout the western world. Aron's work combines passion and observation, disinterested reflection and love of liberty in a way that is an imitable model for humane and balanced political reflection. 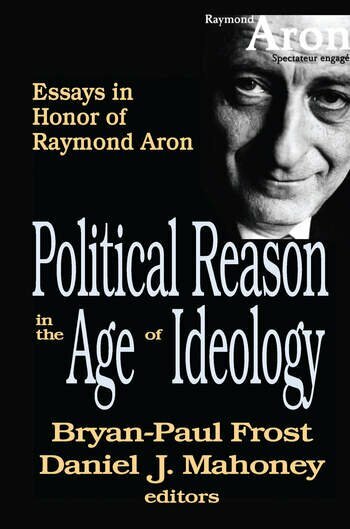 In this stimulating collection of essays, inspired by the centennial of Aron's birth, a distinguished group of North American and European scholars�including Pierre Manent, Stanley Hoffmann, Irving Louis Horowitz, Liah Greenfeld, Claude Lefort, and Aurelian Craiutu�examine four key aspects of Aron's thought and work: his educative legacy; his reflections on other philosophers and intellectuals; his distinctive approach to international relations; and the unique character of his own political reflection. The result is a masterful engagement with Aron's intellectual legacy and a thoughtful coming to terms with the political and intellectual substance of the twentieth century.